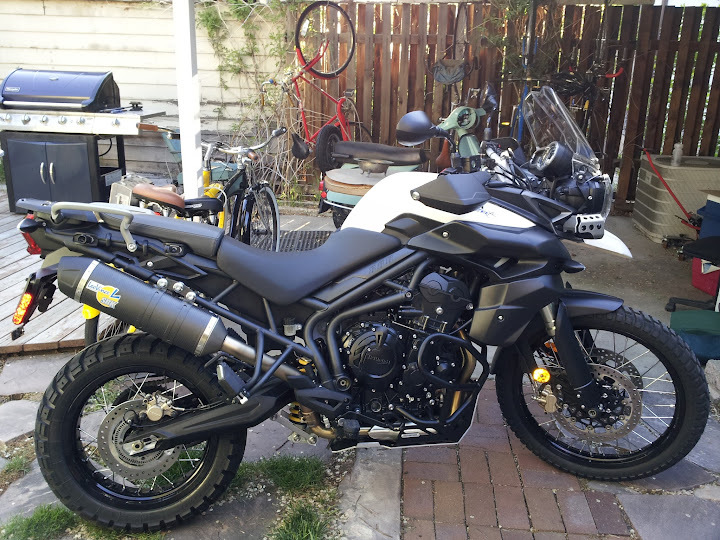 Triumph Forum: Triumph Rat Motorcycle Forums > Tiger > Tiger 800 - 800XC Mods & Workshop > What did you do to your Tiger today??? What did you do to your Tiger today??? There's a post with this title over in Twins and thought it'd be nice to see one here. Me too, economical, more HP & a little more volume - couldn't ask much more than that for $350 bux. 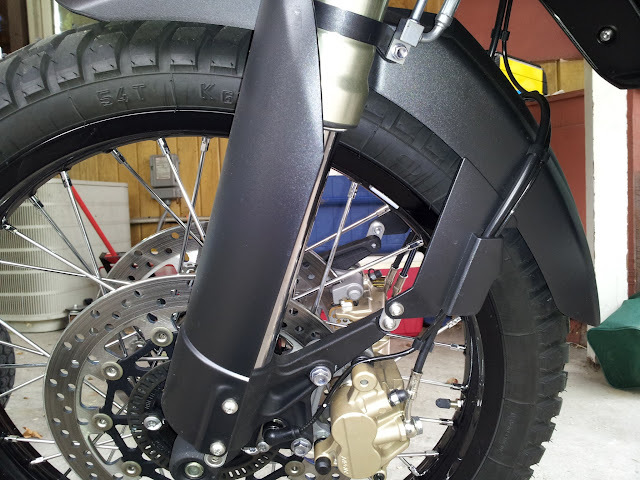 Box from Touratech showed up today with the front fender riser kit & the larger sidestand pad. The fender kit was good, but the pad required a LOT of dicking around. It seems as if someone took some measurements, they machined the parts and called it good. As far as I'm concerned, poor engineering is inexcusable. I put the third rear tyre on mine last week. Coming up to the 12K service this week. I may well take pictures and write an overview on that. Well, everything seems to be in order then. Seems like a lot, 4K each? What are you running? Well, more like 6000 each. The first one I changed a bit early, because I was about to head out on a 4000 mile trip, and it had maybe 1000 miles left. I literally only just put the third rear on. But I do go through tyres pretty fast. I'm at about 11700 miles now, so next week I'm doing the shim check for sure. I don't know what's involved balancing the throttle bodies, (haven't looked it up yet), but if it can be done using a vacuum gauge and screwdriver then I'll be doing that myself as well. I'd hate to have to take it to a dealer, but fuel injenction is new to me, so we'll see what's involved. Looks great, what tires are those? Those are the Heidenau K60 Scouts, front and back. Fantastic grip and long lasting. I guess people who do a lot of dirt like one of these in the back and a TKC up front. 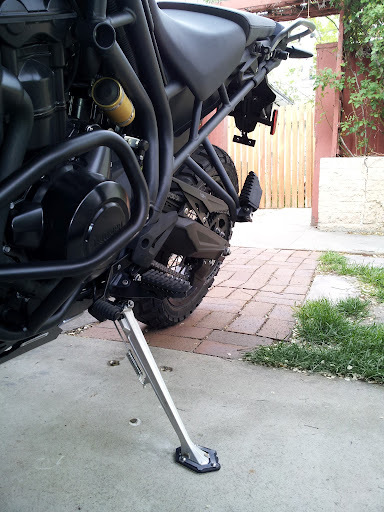 Thanks Utah, they for some reason looked a little different on your bike, a buddy has them on his 1200 GS. Those are the ones im going with. Bike looks really good. I installed the OEM grip heaters. 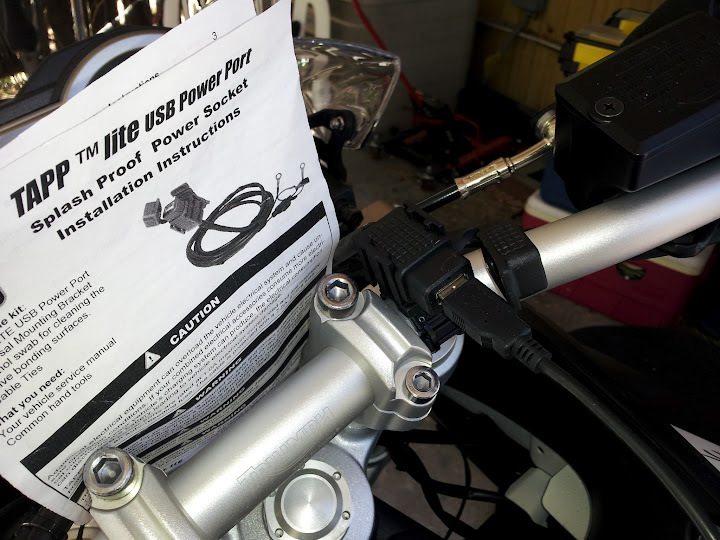 Pretty easy, the only difficult part is getting the wire threaded down the handlebar.